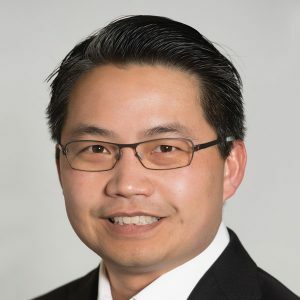 Howard Y. Chang M.D., Ph.D. is Director of the Center for Personal Dynamic Regulomes and Professor of Dermatology at Stanford University School of Medicine. Chang earned a Ph.D. in Biology from MIT, M.D. from Harvard Medical School, and completed Dermatology residency and postdoctoral training at Stanford University. His research addresses how large sets of genes are turned on or off together, which is important in normal development, cancer, and aging. Chang discovered a new class of genes, termed long noncoding RNAs, can control gene activity throughout the genome, illuminating a new layer of biological regulation. He has invented new methods for defining the shapes of RNA and DNA genome-wide. The long-term goal of his research is to decipher the regulatory information in the genome to benefit human health. Dr. Chang’s honors include the Paul Marks Prize for Cancer Research, Judson Daland Prize of the American Philosophical Society, Howard Hughes Medical Institute Early Career Scientist, the Vilcek Prize for Creative Promise, Alfred Marchionini Research Prize, American Cancer Society Research Scholar Award, Damon Runyon Scholar Award, and elected membership to the American Society for Clinical Investigation and Academia Sinica. His work was honored by the journal Cell as a Landmark paper over the last 40 years and by Science as “Insight of the decade”.